Lin Bin, co-founder and president of Xiaomi Corporation, has only been in the business of selling high-spec Android phones for three years. But yet, here he is, talking on stage at D:Dive Into Mobile about just how successful his outfit has become. 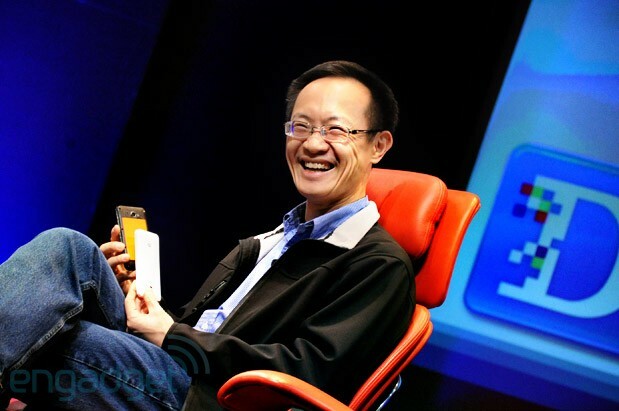 "No sales, no marketing, no retail -- we price our phones at the bill-of-materials," said Lin. That probably sounds like a recipe for disaster in the United States, but it's working exceptionally well in Asia. Lin stated that Xiaomi has reached a clip of around $2 billion in revenue on 1.7 million phones, and in 2013 it's hoping to ship 15 million handsets. For those who've been paying attention, you'd know that Xiaomi is hawking unsubsidized superphones -- packing the latest and greatest components -- for well under $400. And they're selling out within minutes. "Last year, when we announced the Mi2, for 3-4 months we'd have hundreds of thousands of units available, and they'd be gone within two or three minutes after we posted availability online. We're working hard on distribution -- China is big, and we're aiming to get phones into hands in just three days after purchase." Speaking about some of the side effects of rapid success, Lin offered this: "We're already seeing counterfeit Xiaomi handsets being made, and they're selling them at the same price as we are. And the sad part is that few people know that these are fake -- these builders are using far lower cost components." Fried asked if Chinese companies have it any easier in combatting Chinese piracy, and Lin suggested that it's not. "We are, however, talking to Chinese officials and hope to make some headway in stopping this practice." Stepping over to hardware speak, Lin noted that a good portion of its profits come from accessory sales. In fact, many first-run handsets lose money at first without these. When pointing to a colorful battery, he noted that some users are buying various color cells for different days of the week. "So, Android battery life is that bad?" inquired Fried. Lin laughed heartily, noting: "Battery innovation is actually the slowest innovation that we deal with. We're working really hard to improve that, but it's certainly an issue." Fried continued to ask about Xiaomi's sales methods. 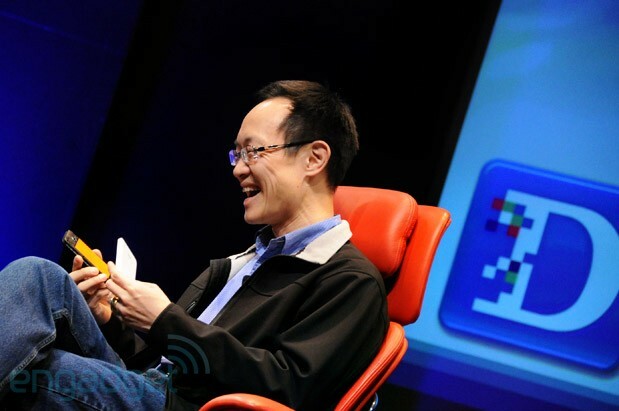 Lin stated: "Well, we went online only, much like Google tried to do with the Nexus One. Second, we tell people every single thing about the phone. We're totally open there. People know exactly what CPU is in there, they know about the storage and the camera module. We also have forms for users to submit feedback, and we engage these users to learn about their expectations from hardware and software. We share all of the good and bad about products, and we aim to make the bad parts better." Lin also affirmed that Xiaomi's employee count is up to 2,400 as of today, and while it started out designing everything in-house, Foxconn is doing the manufacturing at this point. When asked why all of its phones run Google's mobile OS at this point, Lin stated: "Android is fully open source, and it's free. Choosing Android was simple. We have the luxury to make changes, so long as we retain compatibility with Android. If another operating system emerges that offers something similar or better, we'd consider offering that as well." He also suggested that by expanding into Hong Kong and Taiwan, his outfit is able to garner feedback from more traditional sales models -- in other words, whether or not folks enjoy buying Xiaomi phones via carriers. If all of that pans out, don't be surprised to see these things at carrier outlets all over the world.